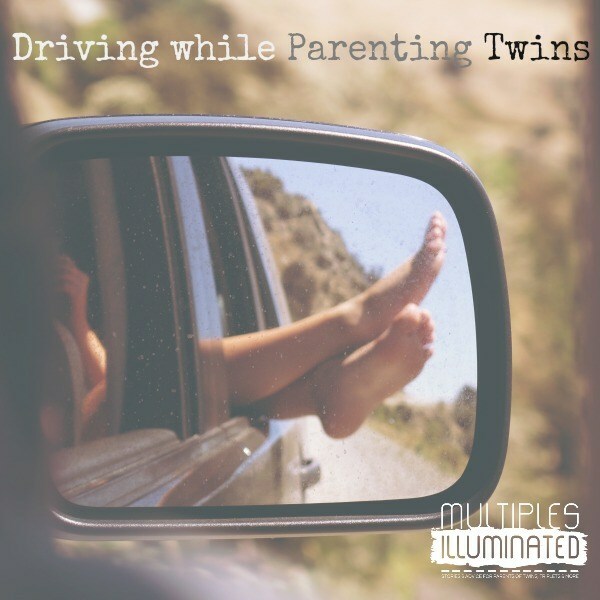 It strikes me as odd that the federal government has yet to cite the dangers of driving-while-parenting—parenting twins in particular. Common sense, highway accident rates, and brain science have examined the lethalities of drinking and driving, texting while driving, and mobile phone use while driving—but somehow, the ever-more-dangerous hazards of driving while parenting somehow remains an unexamined lethal and psychological risk. I, for one, can attest to the multiple times our car has evaded a full on collision due to the various complaints of my twins, starting in babyhood and escalating each year as their arm spans grew longer, their legs became longer, their tongues expanded their vocabularies, and their lung power increased. Not only have we very nearly murdered old women, taken the rails off of bridges or narrowly missed flying off cliffs, but I’ve suffered blood pressure elevation, early deafness, toxic car conditions, loss of verbal control, and post-traumatic-tantrum-disorder as a result of the multiple near-death experiences I’ve been subjected to while trapped in our small moving prison cell going at 70-something miles an hour. It’s extraordinary the number of times I’ve avoided a head-on collision while hurtling along freeways attempting to soothe crying infants, toddlers, and now tweens. It all began with the body twisting act of trying to stick fingers (instead of pacifiers) into the wailing mouths of newborns from the nether reaches of the front seat to the rear-facing baby seats, purposefully molded to make access impossible to all except a circus contortionist. I’ve done puppet shows with one hand across the dashboard. I’ve worked through my entire repertoire of musical numbers from Oklahoma to Hair, told award-winning stories educational and funny enough to win literary prizes. If only they offered such prizes to writer-mothers trapped in cars with nothing more than a sea of traffic, screaming children, and their wits! The prizes I might have won!